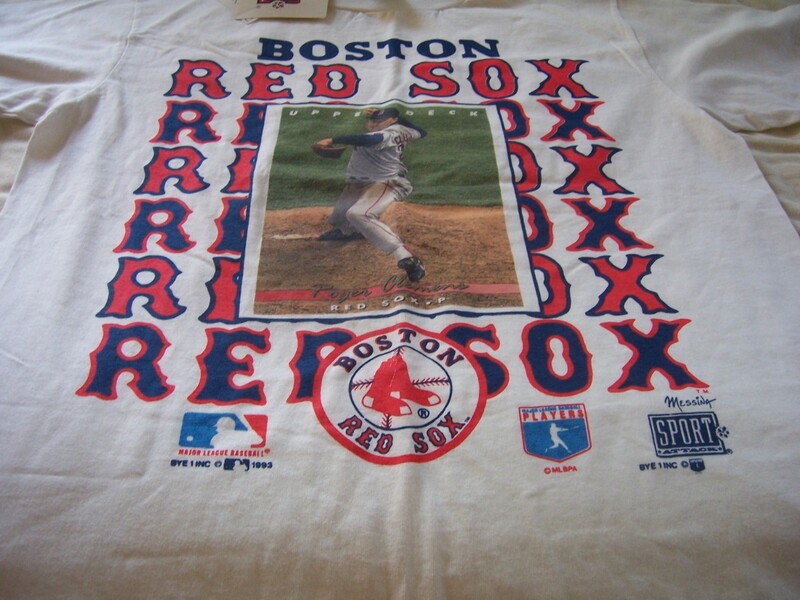 Roger Clemens 1993 Boston Red Sox T-shirt (features a reproduction of his Upper Deck baseball card). Back is blank. Officially licensed. 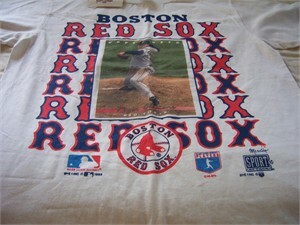 ADULT SIZE MEDIUM. BRAND NEW WITH TAGS, NEVER WORN. ONLY ONE AVAILABLE FOR SALE.